When I was about 6 years old my brother and I were out playing in the garden. He was conducting some sort of youthful ‘science experiment’ by digging a hole and wedging a soda bottle in it. He was going to see if he could break the bottle with a rock. Piaget has claimed that children have their own logic and this incident sure seems to indicate he was right. The 6 year old ME was afraid the bottle would get hurt (don’t even try to understand, I gave up long ago) and I put my hand over the bottle just as he came down with the rock. The predictable happened and fortunately there was a doctor right across the street. While my father was busy being distraught (I’m sure), I was riveted by the X-Ray of my hand. This was the first time I had ever seen what was previously hidden. I knew I had bones – I could feel them. But now I could examine in detail the shape of my finger bones. I could see the joints and the very tiny wedge of chipped bone next to my middle finger. Nothing was broken – I’m made of tough stuff, but looking at this X-Ray opened up a new and exciting world. To this day I have a very clear memory of that X-Ray. What I love about the aXbo and it’s accompanying software is that it allows me to explore another new and exciting world. We all know we fall into sleep, and sometime during the night have REM dreaming. We may have read articles about how much we NEED, how little some people get and the results of not getting enough. But like my early X-ray experience, when have you been able to really examine YOUR sleep patterns in great detail??? I can now learn what I am doing while I am normally unaware. And it’s fascinating!! In my last article I introduced the hardware for this unusual clock. 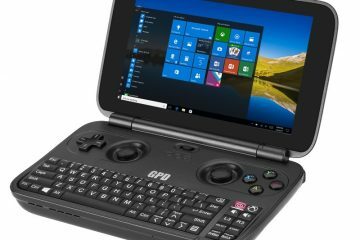 Here we explore the software. 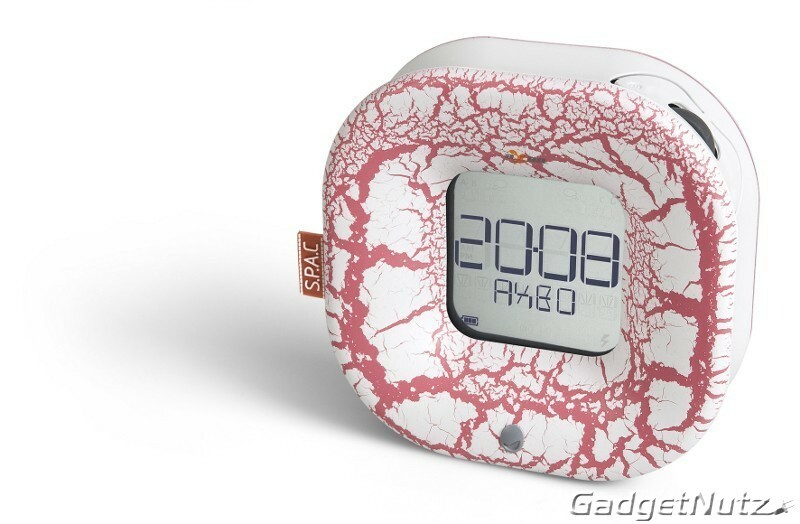 When you purchase your aXbo clock you can also log into aXbo and register your device with a name and password. From there you can access the areas with the manuals and software. 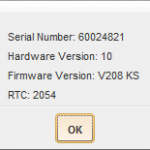 The software can be used on MAC OS X 10.4 and windows systems starting with Windows 2000. aXbo_USB_installation_EN_2.pdf will help explain the procedure for installing drivers for the clock. I suggest downloading that pdf and reading it over before you begin. It’s a very simple procedure, but having it there will make you feel comfortable with the process. Find the USB cable, plug it into your computer and connect to the clock. You can install automatically or manually. Installing automatically brings up a Wizard and you just follow the instructions. I decided to install the drivers manually by downloading from the aXbo site CP210x_VCP_Win2K_XP_S2K3_Vista_5-3.exe (it’s in a zip file: “CP210x_VCP_Win2K_XP_S2K3_Vista_5-3.zip”). The software defaults to saving to “C:SiLabs/MCU/”, however my C: drive in my Windows2000 OS and I wanted to install the aXbo program on my XP OS which is on my F: drive. (Yes, people, I have a multi-boot system). So I changed it to be in “F:Program Files/aXbo/SiLabs/MCU”. Once installed I checked – as described in the pdf file – my Device Manager in the XP OS. The instructions suggested looking in my Control Panel/System/Hardware/Device Manager/and searching for anything under Ports to see if “CP210x USB to UART Bridge Controller” is there. Mine actually reads “Silicon Labs CP210x USB to UART Bridge (COM4)”, but I recognized what I had to find immediately. This is to check which “COM” number has been assigned to the device. In my case it’s “4”. I’ll need this info when I set up the preferences in the aXbo program. The PDF provides full and clear instructions for a variety of situations. Ok, now we get to the really COOL stuff!!!! Another useful manual to download is program_description_aXbo_research_2_0.pdf which will help you navigate the aXbo research software. 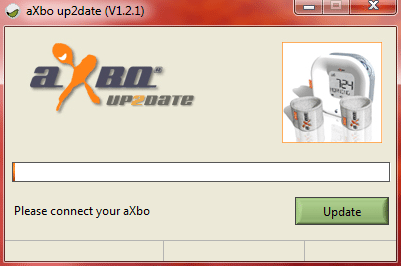 But once you start the aXbo Research program check your preferences – in menu/file/preferences. Mine looks like this. See that the COM number is 4, I’ve included my name as “Person 1” because i will be using the Sensor labled “ONE” and the Alarm settings for Person One. Simple, right? After that Save and Exit the program, then Restart. At the top of the program is a series of buttons. Your clock IS still plugged in, right? Ok, click on Find aXbo. 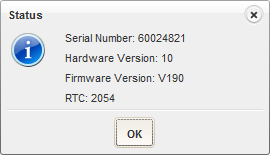 The software will go looking for the clock device. If it doesn’t find it the first time, click that button again and I’m sure it will locate on the next try. A window will pop up and let you know the software and clock are connected. Now click on Load Movement Data and wait while the sleep data from the clock is downloaded to the program. Be patient – if you have two weeks worth it takes a moment. During this upload the program automatically saves each nights data on to the Hard Drive. In my case it’s in XP:Documents and Settings/cecilia/aXbo/projects. My sleep data from Sept 8th is called: cecilia_2009_09_08_23_07.axm. You don’t need the clock plugged in once you have extracted the data. I can open the aXbo program at any time and load any and all sleep data files to examine them. Look at this screen grab of the program (click on the thumbnail on the left to get the large version). At the bottom right of the sleep data graph is a place to write comments. If you recalled something interesting about that nights sleep, you can write it down there. However, if you add comments to a particular nights data file you have to resave it to save the comment. If you reload that sleep data from the clock, your comments will be lost because reloading from the clock always resaves the files. I hope that is clear. The best way to handle your sleep files is to Load from the clock, add whatever comments you wish, Save that file and then Clear Movement Data. This will delete the data files from the clock. Since the clock can only save about two weeks worth of data it seems best to clear it whenever you save the files to your HD. You can load the data files from the HD at anytime and keep adding comments and resave the files. You can also print out the graph or save it directly as an image. I saved this one in PNG format to show you. Click on the left thumbnail to get the full image. Click on the thumbnail to the left and see how five data files can be organized for your examination. They can be placed vertically, horizontally, or overlapping. When examining one of your sleep data files you can Zoom into any section by clicking in the graph, holding the mouse and dragging the box that appears to the desired size. Dragging the mouse from the left side of the graph zooms in and dragging the mouse from the right zooms out. Zooming can also be controlled by gadgets at the bottom of the graph. There are two sensors inside the sensor casing that you wear during the night. When you move in your sleep the clock device monitors each sensor and records the extent of that movement. This is shown in the graph in different colors. To know which sensor was active over a particular time hover your mouse over the color bars and text will pop up with info about the “Y” or “X’ sensor. See the image to the right. Each sensor is represented by a color. When you see a third color that is when both “Y” and “X” sensors detected motion. After you have accumulated enough sleep data files, you will begin to see your typical sleep patterns. While each night’s sleep will be unique, they will tend to show an overall pattern. Just look at all the information we can get using just two sensors! You will get hooked looking at your sleep patterns – much like I was with the X-Ray of my year year old bones. Just imagine what this could mean for the future. What if, someday, we can monitor our own brainwaves in addition to body movements. Would we be able to see what our dreams look like? This is starting to look like a Zelazny novel! I’d love to see not just three colors in my sleep graph, but MANY colors, each related to some deep, intricate brain THING going on while I dream. Of course, at the moment this is not the main purpose of the aXbo system. It’s to help you wake up at the best time so you don’t feel “groggy” all day. And after having used it for a while I have to say I do think it works as advertised. While I tend not to have problems sleeping or waking, Getting up at the optimal time DOES feel natural. I would imagine that for people with problems getting up in the morning this system may help them ‘reset’ their sleeping habits to a more healthy time schedule. Well, we now can get to another fun aspect of the aXbo system and that is getting to choose different sounds to wake up to. By default the clock comes loaded with a sound set called “Original” and once you register on-line you can download another file. That set is called “aXbo_Feelings.axs”. In the aXbo program we have so far delved into the DATA. Click on the SOUNDS tab. See the picture on the left – under the menu, select Import SoundPackage and find where you had placed the aXbo_Feelings.axs file. The program will copy it to a sounds directory so it will always be found by the program. The Original soundpackage is also going to be there. The Clock can only load one sound file. You have to choose one or the other. Importing a Soundpackage overrides the previous set in the device. Click on the thumbnail on the right and look at the list of soundpackages. Selecting one will list all the sounds Incorporated in the file. The first six tones are your wake up sounds. The next three are the Chillout selections. and the last two are the Alarm sounds that play in case you didn’t wear your wrist sensor. You can listen to all the sounds in a set by clicking the PLAY button or clicking on each sound. When you are ready to transfer a soundpackage to the clock device make sure the clock in attached to your computer and that the aXbo sees it. Then click on UPLOAD and wait while the file is sent to the clock. (Click on the second thumbnail to the right). It will take a few moments so don’t interupt the upload. Bad things might happen! The Upload Window will show each sound being uploaded (see below). When it’s done the CLOSE button will be un-ghosted. I don’t think this is quite Obvious enough, but once you know about the procedure it does works alright. You can change the soundpackage anytime, no need to get bored with your wake up tone! In various European cultures it’s normal to sometimes take a nap in the afternoon. Americans seem to not quite get the purpose of this activity. Sometimes you need a way to refresh yourself. Some people do meditation, others take a nap. What the aXbo system allows the user to do is to wake you before you fall into a deep sleep, preventing you from feeling groggy after what should be a short rest. The clock is set to let you sleep for about 30 minutes by default, but as you use the device you may find that you need to tweak this. Just look at your sleep data files to help you figure out the optimal time. Online you can download PowerNap_Manual_1.pdf to review the procedure for setting up this feature. 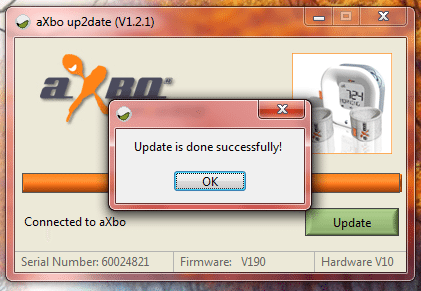 While i was testing the aXbo one day I checked the program just to see if there was an update. I was surprised to see a window popping up letting me know a small update was available and did I want to install it. I gave the Go Ahead! I can honestly report I had no problem downloading and installing. I’m not sure what the update was for…..I didn’t really see anything different. But the program works just fine, so I’m not complaining! 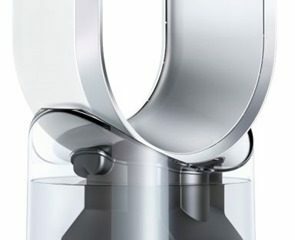 I like this device – it works great and has amazing potential for future expansion. One button in the program is called: New Sleep Record. When I click this an empty graph window comes up. Is this for monitoring someones sleep while the clock is attached to the computer? Can this be used for the Power Nap? Who knows what wonderful info can be gleaned from a seemingly simple device!